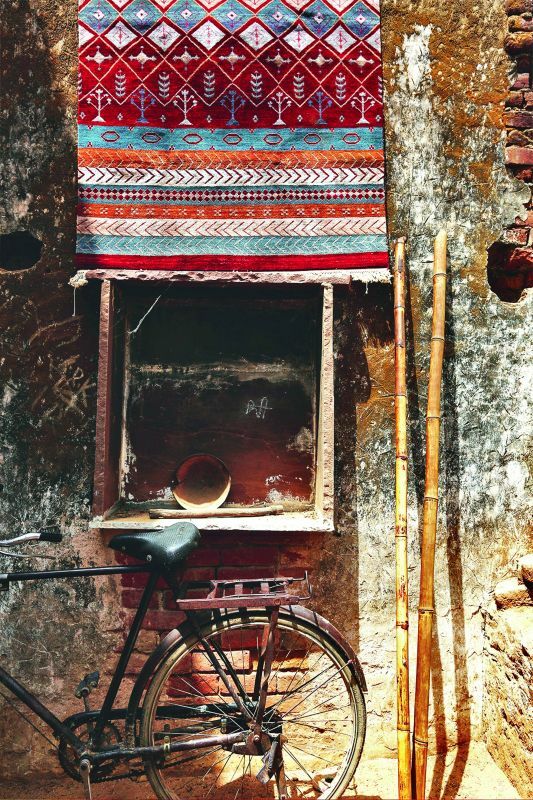 Rugs become the canvas for some Rajasthani weavers who thread their own life stories into them — from personal details to the kalash outside their home to the shakarparas they love to munch on. Rugs may not be the most conventional canvas for creative expression, but when it reflects the story of someone’s life, it becomes more than just a decorative addition to a living room. Artisan Originals, a collection of handmade rugs created and designed by local weavers in the villages of Rajasthan comes with several such stories. 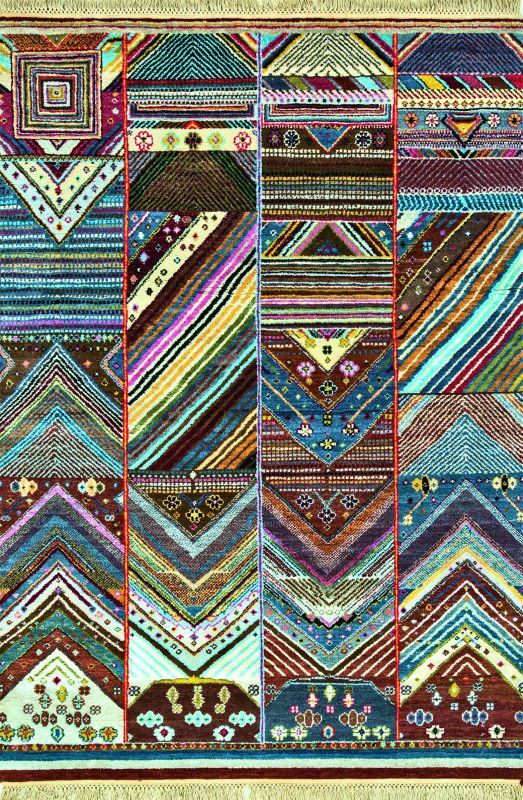 Each rug is born out of a weaver’s life, incorporating anything from personal travesties to the kalash placed outside the village homes, shakarparas (a sweet snack) and more. Initiated by Jaipur Rugs Co., the enterprise ran workshops for local craftspersons in the villages. Apart from the myriad elements taken from the local landscape, threads of personal experiences also wove themselves into the imagery in some of the rugs. Kavita shares, “In one specific instance, the weaver was suffering from lung cancer. When we asked her what her motifs represented, she told us that they were her lungs. The imagery was very abstract and the colours were chosen from her experience.” After rugs, Kavita now plans to initiate a similar collection of pillows, giving weavers a smaller canvas to express themselves and their lives.